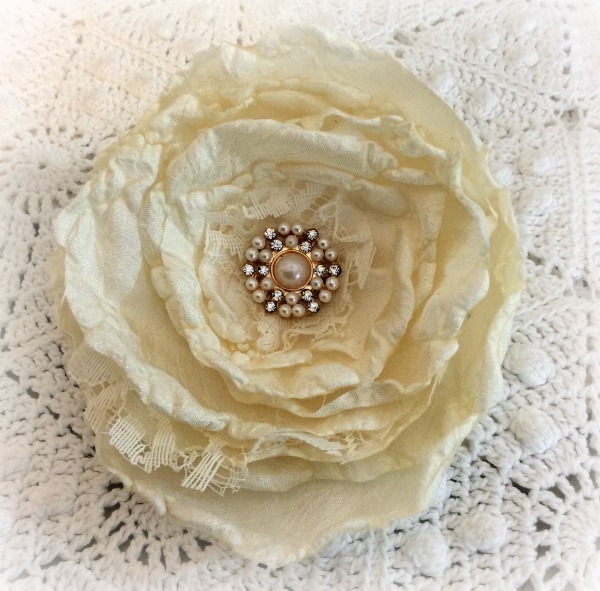 Lovely hand made 4" curled lace rose is the perfect addition to glam up your wardrobe or home decor! Embellished with a lovely gem too! Includes an attached clam shell pin.